Vibratory Fluidised Bed Coolers provide a reliable and efficient method of air cooling, heating or drying bulk materials. 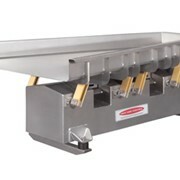 They are essentially vibratory conveyors with perforated bottom plates. 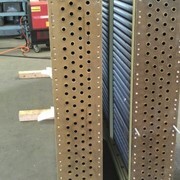 Ambient, cooled or heated air is passed through the holes in the plates under pressure and cools (or heats) the product as it is conveyed. The air is passed through the unit at a velocity that will support the weight of the particles which creates a fluidised state in the bulk material. 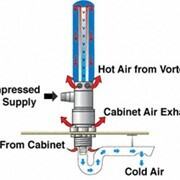 Provide a reliable and continuous temperature transfer through the unit. Can handle a wide variety of product types and particle sizes. 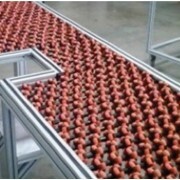 The mechanical vibration helps to mix the material to ensure a uniform heat transfer. 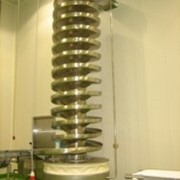 They can process fragile materials with soft vibratory movement. 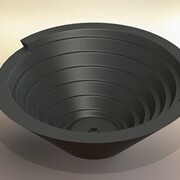 Material is continuously mixed while cooling which reduces the concentration of hot spots. 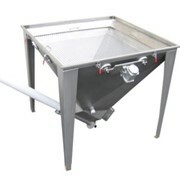 Access to the trough is easy and allows an easy access for cleaning. 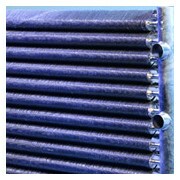 Allow the option for product dust removal or additive inclusion during the heat transfer process. The conveying velocity of the product can be electronically controlled via variable speed drive to provide the most efficient output. Vibroflow provides consultancy, design and fabrication services on all major types of vibratory materials handling and processing machinery. 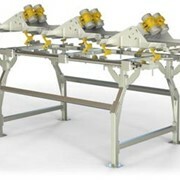 We supply vibratory feeders, vibratory screens, vibratory conveyors, as well as other specialised vibrating equipment. 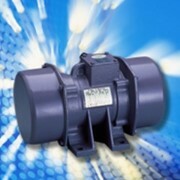 Vibroflow can also supply units with sub-resonant tuned (twin mass) drive systems. 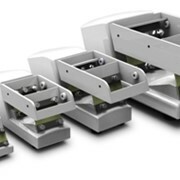 These units are ruggedly constructed and dynamically balanced which means that they provide reliable performance, extreme energy efficiency and long life in the most demanding applications. More information can be found on the sub resonant information sheet. Our full product line includes vibratory feeders, vibratory conveyors, vibrating screens, vibrating grinding mills, vibratory crushers, bin activators, storage pile dischargers, spiral conveyors, compaction tables and fluidised bed coolers. Our engineers and consultants have more than 25 years experience in research and development, design and consulting in the vibratory transportation and processing equipment industry. 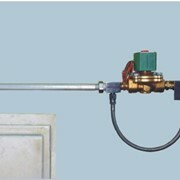 Vibroflow is based in Hallam, Victoria and is entirely Australian owned and run. Nex Flow™ Frigid-XTM Panel Coolers with constant purge! Mention IndustrySearch so Vibroflow can best assist you! Get a callback from an expert at Vibroflow to help answer your questions.